Apta Health is the first company of its kind to offer self-funding and care coordination to mid-size employers, creating a comprehensive solution that makes self-funding easy and takes care of members at the same time. For many mid-market employers, paying for fully-insured healthcare benefits has lost its luster. As premiums continue to shoot up and the future of the industry becomes more uncertain, mid-sized companies need a new way to control the costs of their employee health bills. Apta Health is revolutionizing health insurance with a welcome alternative to the confusing, fragmented, and increasingly expensive world of fully-insured healthcare. 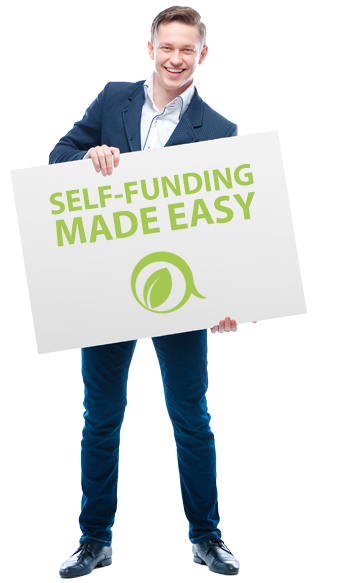 With our proven self-funded program tailored for the midmarket sector, there’s no need to keep wasting time and money. Our team has been investigating the self-funded market for over 15 years, and our years of in-depth analysis have surfaced the perfect mix of tools and vendors in the industry. We’ve effectively unbundled and repackaged these offerings into a comprehensive, turnkey self-funded program that encompasses everything from claims administration to prescription benefit management to telemedicine. True care coordination. In addition to providing cost-containing self-funding benefits, Apta Health prioritizes its employee members with industry-leading care coordination — a truly holistic approach to a company’s health benefit needs. Stop loss coverage. We tailor stop-loss coverage to satisfy each employer group’s level of risk tolerance and aggressively negotiate the best rates for each group. Fortune 500 solutions. By continuously vetting vendors across the nation, we stay on the cutting edge of self-funded insurance solutions and package all our products for the midmarket sector. Cost containment. The cost saving opportunity is real. Apta Health clients see an immediate reduction in their total costs within their first year, with an average cost reduction of 20% by year three. Third Party Administrator. A dedicated administrator has access to provider networks and processes medical claims per your plan document and benefit structure. Employers can choose from several plan designs that cover everything from PPO to Consumer-Driven Health Plans and Health Savings Accounts. With Apta Health, employers no longer have to choose between containing costs and caring for their employees. Our proprietary contracts and wholesale pricing allow us to infuse proven, cost-saving components into every aspect of a self-funded plan eliminating hidden fees and wasteful spending. Additionally, by incorporating care coordination into our self-funded model, we change behavior and create a new, more compassionate world of healthcare in which your employees will thrive. Apta Health provides the perfect package of programs that literally change the healthcare trend line and cut costs over time while also doing the right thing. Take control and get the most out of your benefit program with Apta Health.